Yoga can be practiced anywhere, and from the comfort of home is one of the best places. Guest blogger Kelsey Reaves outlines how to transform any space into a “sacred” one – on any budget. Yoga has officially become mainstream and people of all walks of life are interested in this restorative and strengthening practice. Luckily, yoga doesn’t require much in the form of equipment, so it’s accessible to everyone. You really only need a small space, and oftentimes snuggling into the spot beside the bed or moving the coffee table is all it takes. Nevertheless, if you’re in the mood for a home project, these tips are for you! It can honestly be as easy as clearing out enough room or finding an open space in your home where you can stretch out your arms and legs in all directions. Look for a soothing environment that’s free from distractions where you can move the body and connect to the breath. 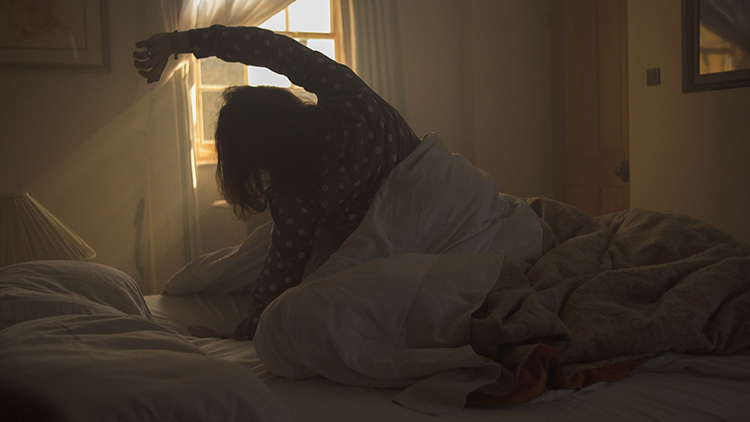 Stretching in bed is always an option, too! This isn’t an absolute must. To save money, go barefoot or try a blanket or towel on a non-slippery surface. Though, there are perks to investing in mats, as they provide padding and support. They are generally affordable, and finding one with a color and design you’re drawn to can make the experience even more fun. You’re probably familiar with the soft blocks at yoga studios; however, you can use just about anything around the house in place of them. Even a soup can or a large book will do, seriously! No need to invest in official yoga straps, either, when you can use a belt or scarf that you have lying around the house. If you have a little more space to designate to yoga, I suggest setting up a station to house all of your supplies and keep them at-the-ready for your daily practice. Think: yoga mat, meditation cushion, blanket, blocks, straps, incense, an eye pillow and a device to play relaxing music. Rolling carts work great for this, and they can easily be tucked away. Besides saving space, it’s nice to have all of those little yoga luxuries organized in one place. It’s more convenient and you’ll be less likely to misplace those props. 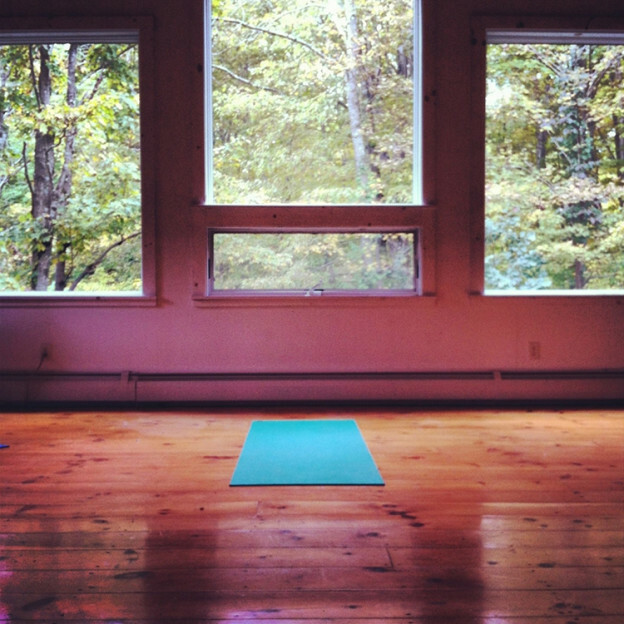 So you want to go all out with your home yoga space? First, you’ll want to designate a specific room, preferably a calming space like a bedroom. Then ensure that the floors are a hard surface – bamboo is my favorite. Go for warm lighting and invest in dimmers, so you can lower the lights during savasana. Natural light is wonderful as well. If you prefer to check out your form, consider covering a wall with mirrors. Whether you invest in a high-quality sound system and mounted television or bring in elements of nature, decorate with intention and have fun! If a home yoga space is a dream of yours, don’t put it off any longer. Share your experience and design tips in the comments! This post was written by Kelsey Reaves, a Modernize.com contributor who enjoys sharing design inspiration and ideas. 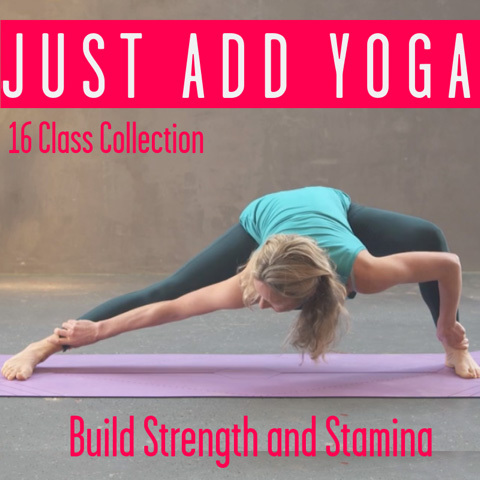 This entry was posted in Movement // Yoga and tagged affordable, at home yoga, decorating, design, diy, yoga room on August 5, 2015 by Kat.